Expertise in information technology, education, appropriations, health and human services, as well as alcohol, business, and gaming regulation. Chris’ career began in the Florida House of Representatives after graduating from Florida State University, where he served as a Student Body President and also received a law degree. As a legislative staffer in the areas of health care, rules, and family services, he provided legal and policy analysis to House members. In addition to his legislative experience, Chris worked at the Department of Business and Professional Regulation and in the Governor’s Office under Jeb Bush. Chris currently focuses his practice on appropriations, education, health care, and gaming, and was recently named Top Education Lobbyist by Influence Magazine. His acumen for the legislative policy and appropriations processes provides clients with an unrivaled benefit. 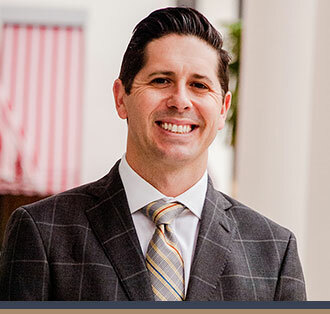 Chris is a member of the Florida Bar and resides in Tallahassee with his wife, Alli, daughter Liberty, and twins William and Andrew.